Built by 7th Floor, the Da Buddha Vaporizer is one of the most efficient and cost-effective Vaporizers available today. 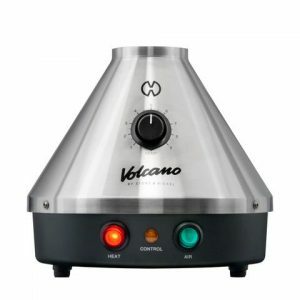 It was designed for Vaporizer connoisseurs looking for the ultimate vaporizing experience. Each unit is built using only the highest quality components and materials. Built by 7th Floor, the Da Buddha Vaporizer is one of the most efficient and cost-effective Vaporizers available today. It was designed for Vaporizer connoisseurs looking for the ultimate vaporizing experience. Each unit is built using only the highest quality components and materials. 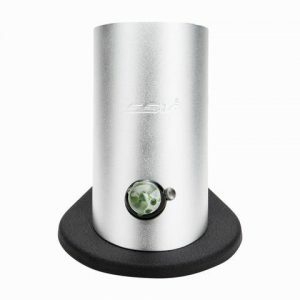 This vaporizer features the same high quality craftsmanship found in the Silver Surfer and Life Saber Vaporizers. Like these vapes, every Da Buddha is conceived and constructed right here in the USA and features a reliable ceramic heating element and glass-on-glass elements that ensure superior vapor production. By utilizing Ground Glass Connections, the Da Buddha Vaporizer is a Hands Free unit that doesn’t require the user to hold the whip in place. 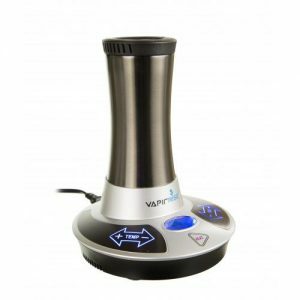 It also utilizes a temperature control system that allows the user to adjust the vaporizing temperature accordingly. 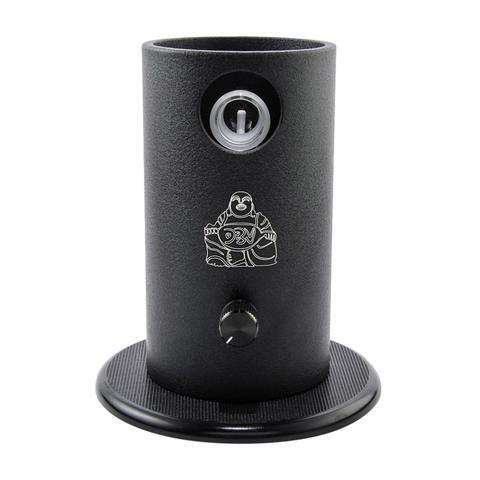 The Da Buddha Vaporizer also features a unique cylindrical design which optimizes air resistance and provides a natural cooling effect. There are also numerous DLX editions available ranging from a DLX 14mm Water Tool Bundle to a DLX+ 18mm Water Tool Bundle. Unlike many other Whip-Style Vaporizers that utilize a small blend chamber, the Da Buddha Vaporizer features an extra-wide chamber which allows for a more efficient and effective vaporization process. It’s also capable of reaching vaporization temperatures within 2 minutes. To answer the frustrations of many Vaporizer enthusiasts, the Ground Glass Whip was specially designed to allow for easy removal and insertion of screens. Built in the USA, the Da Buddha Vaporizer comes with a 3 Year Manufacturer’s Warranty and includes a Ground Glass Hands Free Wand, 3 ft. of Vinyl Tubing, Glass Mouthpiece and a SSV stir stick. Each unit also includes a Free Padded Storage Bag for protecting the Vaporizer during travel. Simply switch on the Da Buddha and adjust the control knob to your desired temperature. We recommend setting it to the 2 o’clock position for optimal results. While Da Buddha is heating up you can grind your blends and load them into the wand. Within 2-4 minutes (depending on your heat setting) you should see the ceramic heating element glowing which means Da Buddha is at the selected temperature and ready to use. Connect the glass wand to the heater cover and draw slowly on the other end of the whip for about 5-8 seconds to achieve a healthy inhalation. Da Buddha Vaporizer utilizes Ground Glass hands-free operation which means users don’t need to hold the whip up to the heater cover while vaporizing. To make sure your Da Buddha functions properly, we advise you to regularly clean and maintain your vaporizer’s essential components. The stainless steel screens and whip tubing should be replaced every 2-3 months depending on how often it’s used. Soak the glass pieces in Orange Chronic or Agent Orange to remove any contaminants or residue that may have accumulated. When you are not using the Da Buddha, we recommend unplugging and placing it out of reach of children. If you plan to travel with the Da Buddha, we include a padded storage bag with every purchase in order to protect your Da Buddha vaporizer while in transit.